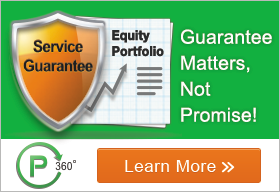 The biggest hurdles of opting for portfolio management services are its fees and charges. The fees charged by PMS comprises three components. The upfront fee, management fee, and performance fee. Some of the PMS offer fixed fee also. Lets just understand what all are the charges you incur when you opt for the PMS. It is natural for most of you to think if the PMS is so rewarding then why invest in equity mutual fund at all? That's a valid question. But we have to understand why one invests in mutual funds. The objective of equity mutual fund is to disregard the market cycles and keep on investing a certain amount on a regular basis in a disciplined manner. On the other hand, PMS is more time sensitive. Here the portfolio manager has to directly answer the clients and have to produce good returns regardless of how the markets are behaving. For making money out of markets you always need risk appetite and understanding of the market. So lets understand how these close competitors PMS and Mutual Funds are different from each other. PMS services offer you the customized investment opportunities. In the case of PMS, investors have been offered with many choices of selecting specific sectors, capitalizations to focus on your portfolio. Mutual funds dont offer such an option. Methodology-Skilled portfolio manager manage your portfolio which makes the process hassle-free for layman investors. These professionals are equipped with in-depth research and study of global and domestic market situation. Also, they continuously monitor your stocks which is impossible for retail investors to do. Whereas mutual funds are monitored by fund managers. Unlike PMS, in a mutual fund, all the money is pooled from various investors and goes in a single portfolio of the asset management company. In the portfolio management services every portfolio is considered separately and allocate a separate importance to it. That is every investor is treated separately owing to which your portfolio is prevented from others activities. For instance, if there are huge redemptions in the mutual fund then fund manager needs to create the liquidity by selling the most liquid stocks from the funds' portfolio. These changes may affect the investment of those investors who have invested in the mutual funds. PMS vs Mutual Funds, What’s Your Choice?